TVs by Samsung have good ratio of price and quality, therefore are popular. However, even very good models sometimes fail. If you can read schematic diagrams, use of measuring devices and to hold the soldering iron, try to repair the TV yourself. Modern TV is a complicated electronic device, which in the inept repair of damage quite easily. That is why follow all the work very gently, never using force. Remember that repairs LCD TVs are often paired with the need for recovery software that to do yourself hard enough. So at home it is best to limit TV repair CRT monitor (cathode ray tube). The most common faults with the Samsung TVs are a failure of the power supply and SSB Board (Central control Board). If the TV shows no signs of life, first check for voltage at the outlet. Then remove the back cover of the TV, check the power cord and the power button. In that case, if the voltage is properly supplied to the TV, test the power supply. Inspect his clothes, pay attention to any signs of overheating. Typically, the power supply often fail capacitors, faulty fairly easy to determine in swollen top – serviceable parts it is flat. If external survey has not led to the discovery of a fault, check the output voltage. 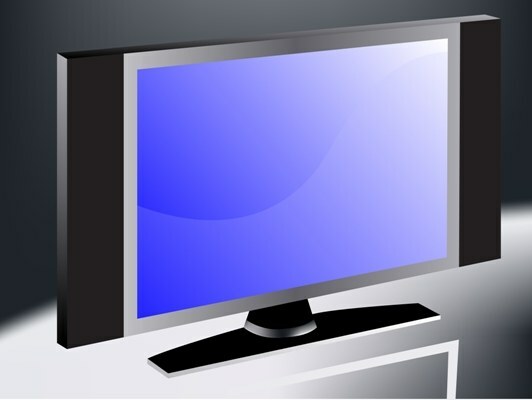 You'll need a schematic diagram of your TV; find it on the Internet. The diagram shows all output voltages of the power supply. There is most often no supply voltage horizontal scan; it should be around 110-160 volts, depending on the size of the screen. What it is, the higher the voltage. Now you need to understand why there is no output: defective power supply or a fault to be found in the block line scan. Disable the output voltage 110-160 from the scanner, which may require desoldering one of the parts of the power supply. Now connect the load an ordinary incandescent bulb of 100 watts. Turn on the TV and measure the voltage on the lamp. If it is close to normal, the power supply is OK. Check chain line scan. Pay attention to the serviceability of the diodes and transistors. The test transistor start, not Vipava it. In that case, if the tester shows the breakdown should be desoldering a transistor or coming to him unsolder the wires (enough to unsolder two) and test again. The same principle is relevant for diode – vypaivali one of the conclusions only in the case if the tester sample. Use the analog multimeter. It is much more informative than digital – health parts, can be judged according to the degree of deflection, its roll at the time of connection, etc. If the TV turns on but the screen is a narrow horizontal strip, the faulty module is vertical scan. Check out its details; the chips, pay attention to the compliance voltage on pin specified in the diagram. The missing image from the LSD-TV, darken the room and Shine a flashlight on the screen. If you see a faint image, perhaps a faulty power supply. Check the filter capacitors of the power supply; often out of order they. When their faults be sure to check the onboard fuse; it usually burns out. Replace the defective parts and turn on the TV. If the image does not appear, is faulty, most likely, the inverter. Replace the faulty chip.